SICILY. SYRACUSE. AGATHOCLES, ca. 317-289 BC. 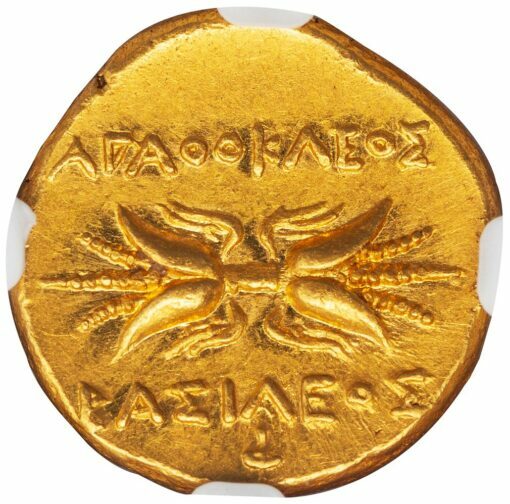 Gold Decadrachm, 5.67 g., 16 mm., struck ca. 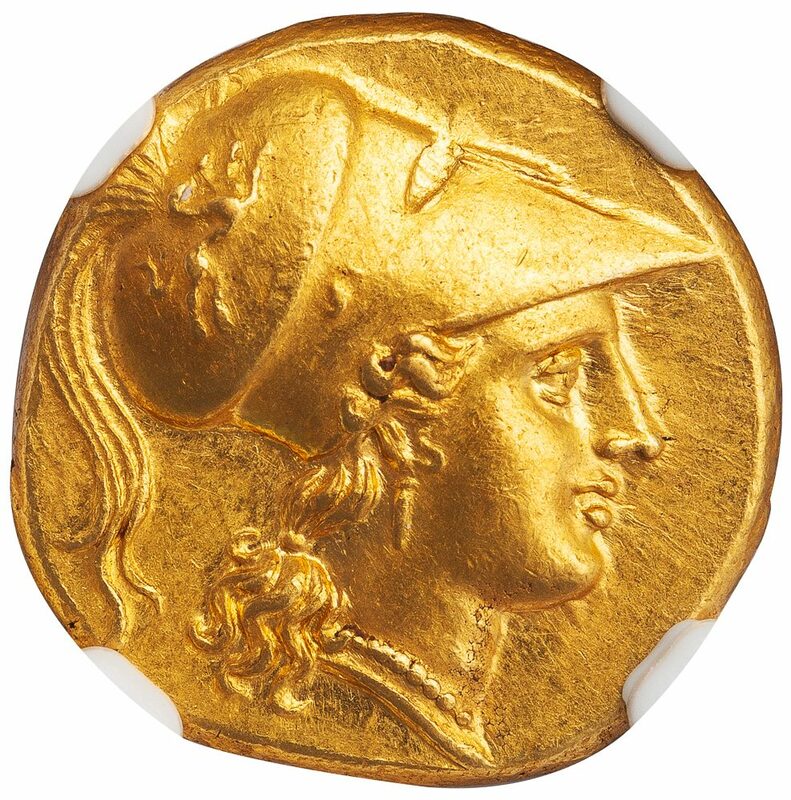 317-310 BC. Obv. Head of Athena right, wearing Corinthian helmet with rampant gryphon ornament. Rev. AΓAΘOKΛEOΣ / BAΣIΛEOΣ, winged thunberbolt, Φ control below. HGC 2, 1535; SNG Copenhagen 778; SNG ANS 702. 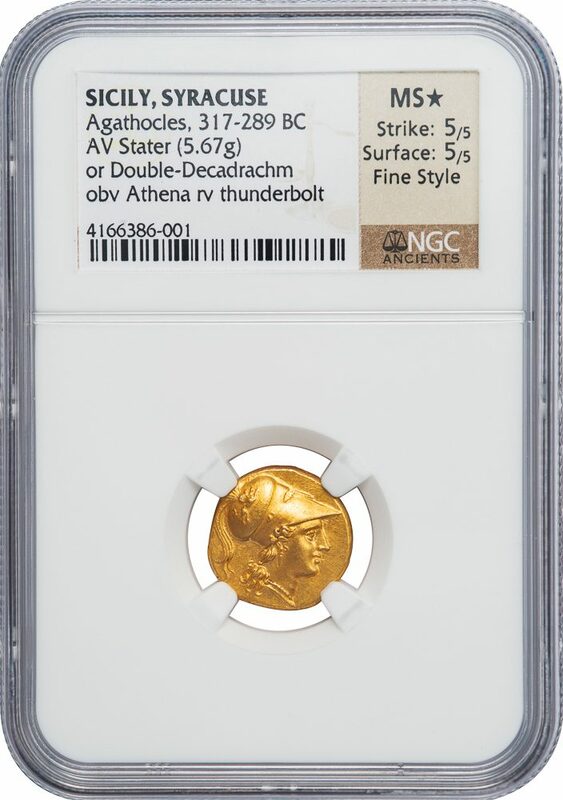 NGC graded MINT STATE STAR, Strike 5/5, Surface 5/5, FINE STYLE, an example of a seldom offered coin type of exceptional artistic excellence.